Once your little baby has arrived into the world, everyone will tell you what you should and shouldn’t use on your babies skin. As with everything baby related, it really is trial and error to see what you babies skin likes. I have always gone for more gentle products on Sebastians skin and as I declared in my Baby Essential post, I love the Weleda and Burts Bees ranges for their kind and natural ingredients. Then along came Little Butterfly. They had very kindly sent me this gorgeous bag with a sneak peek of their new organic product range. 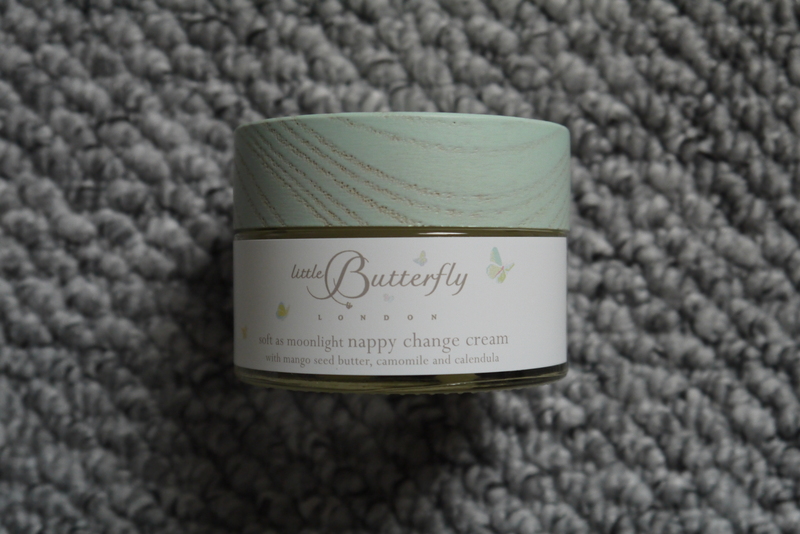 First up is the soft as moonlight Nappy Change Cream. It is a very gentle, oily consistency with a gorgeous natural smell. Made from 18 natural ingredients including mango seed butter, canendula, and shea butter, it is moisturising and very gentle. 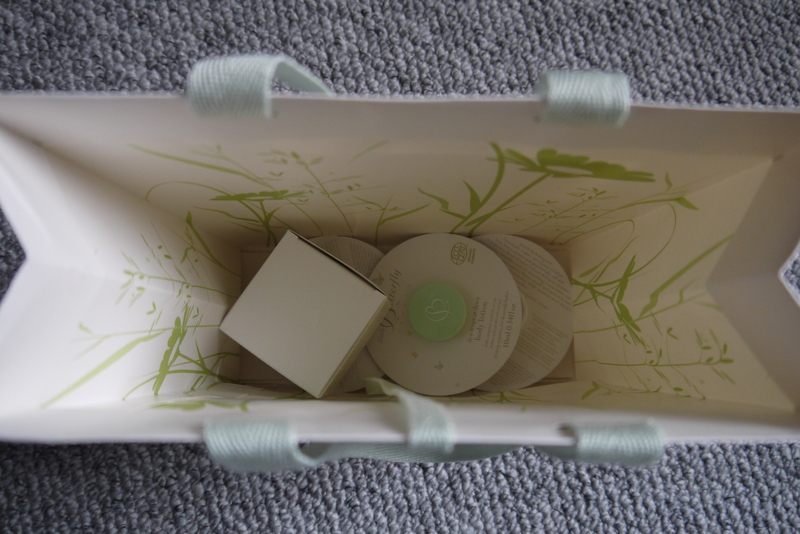 The packaging is perfect for keeping on the changing table, the lid is textured to feel like wood and the glass bottle is very luxurious in feel. The cream really is wonderful to apply. A thin layer to the nappy covered area creates a protective barrier between the rough nappy and babies sensitive skin. 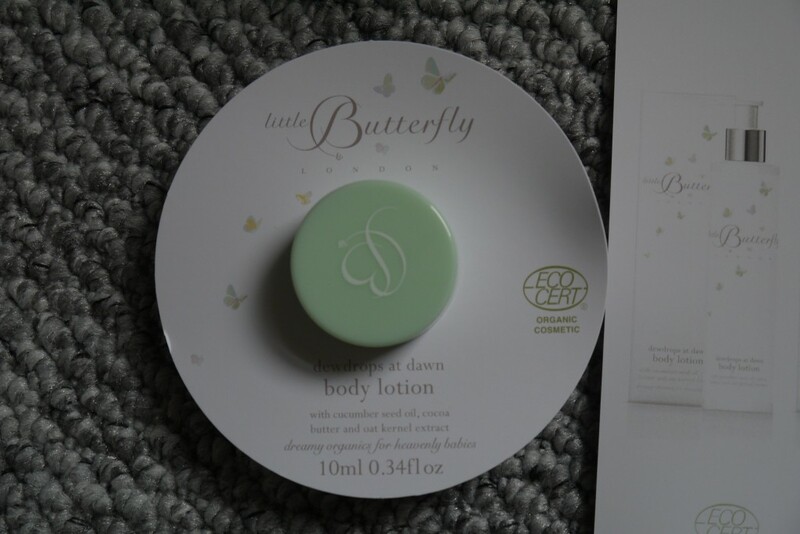 The next product is the dew drops at dawn body lotion. I have used this a few times specifically on the more fatty areas where Sebs skin can become a little red and sensitive. It is extremely gentle and provides a lovely layer of moisture and lubrication for those fatty little rolls! The lotion is delicate and has a wonderful scent of its once again natural and organic ingredients. 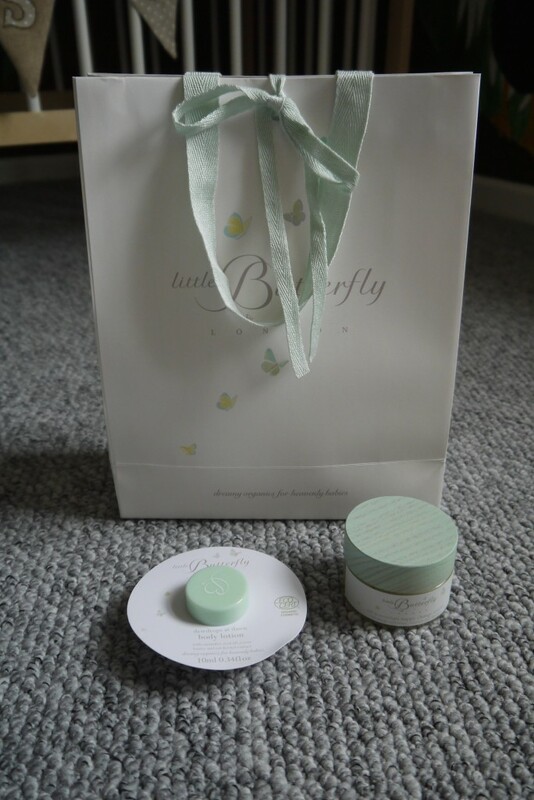 If you are conscious of the products you are using on your babies sensitive skin then Little Butterfly products are for you. Their gorgeous range of products are available to buy on their website here and would make a gorgeous gift for any mummy to be! Thank you again to Little Butterfly for the wonderful gift for Sebastian.